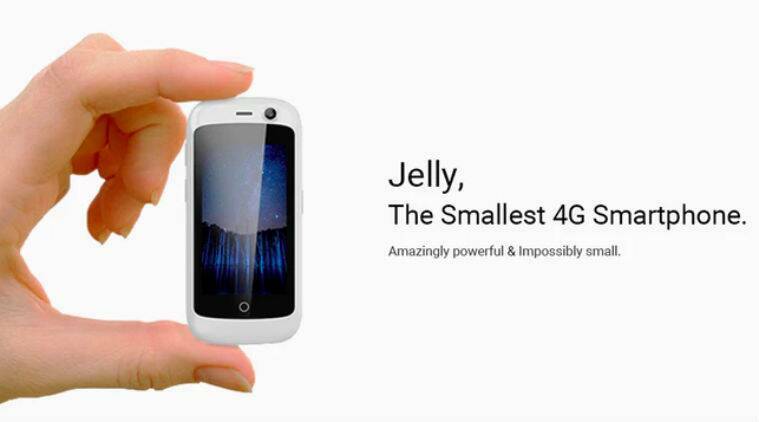 Unihertz, a start-up based in China, has introduced Jelly on Kickstarter, the world’s smallest 4G capable Android smartphone. In fact, the Jelly smartphone is so small that it can easily fit in your coin pocket. Smartphones might have gotten bigger in the last couple of years with the 5.5-inch display becoming standard, but looks like this company wants to change all of this. Jelly isn’t just a small Android phone, it runs Android Nougat 7.0 and will cost over $100. Oh, and there’s a Jelly Pro version as well. The project has already managed to raise $133,934, much more than the original pledge of $30,000 goal. However, actual shipping for the Jelly will start only in August of 2017. So what does Jelly offer to users? And why are people signing up for this device? Well, the USP clearly has to be the size. The idea of a smartphone fitting into your coin pocket has people intrigued. Plus, it helps that this a 4G-enabled device, and according to Jelly it will work with most major GSM networks. Now the display on this phone is only 2.45-inches, with 240×432 pixels resolution. Dimensions of the Jelly smartphone are 3.6-inches x 1.7-inches x 0.5-inches (LxWxH), so yeah this is pretty tiny. Interestingly this can support dual-Nano SIM cards, and has a fully replaceable battery with the company promising three days working time (for average usage) or upto seven days on standby. The battery size is 950 mAh. But that’s not all. Jelly comes with 1GB RAM and 8GB storage (expandable to 32GB via a microSD), while there’s a Jelly Pro version as well with 2GB RAM and 16GB ROM. The phone sports a 1.1 Ghz quad-core processor and has a 2MP camera on the front and an 8MP rear camera. Jelly will come in three colours: Pearl White, Space Black and Sky Blue. Jelly also has support for WiFi, GPS, Bluetooth 4.0. Sensors on the phone are: G-Sensor, Gyroscope, and Compass. Unihertz has also created an armband and you can just mount the Jelly phone onto it, and then use it as a fitness device.